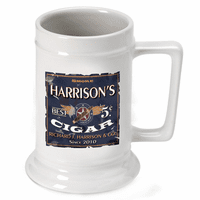 FEATURES/SPECS This man cave personalized beer mug is the ideal way to take in your favorite beverage while lounging in your man cave (or in your living room!) 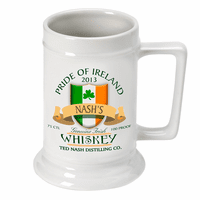 Made of solid white ceramic, it holds 16 ounces of ale and comes with vibrant, full color man cave theme artwork. 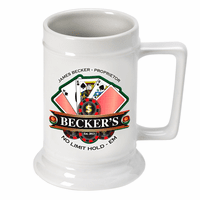 The front has the text "The Place To Go, Real Sports, Fine Cigars, Solitude, Drama Prohibited!" 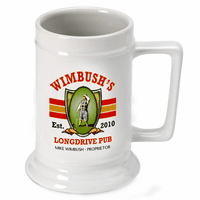 along with the mug owner's name and the date the man cave was established. 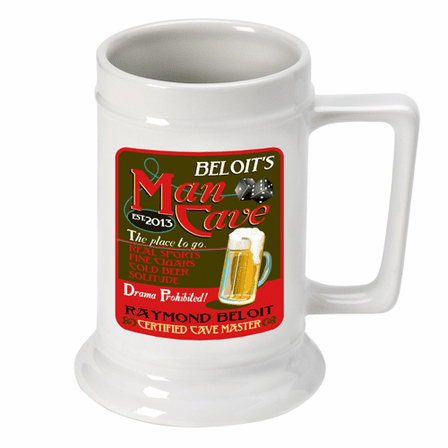 If you're looking for a great man cave theme personalized gift, this solid German beer stein is a great choice.